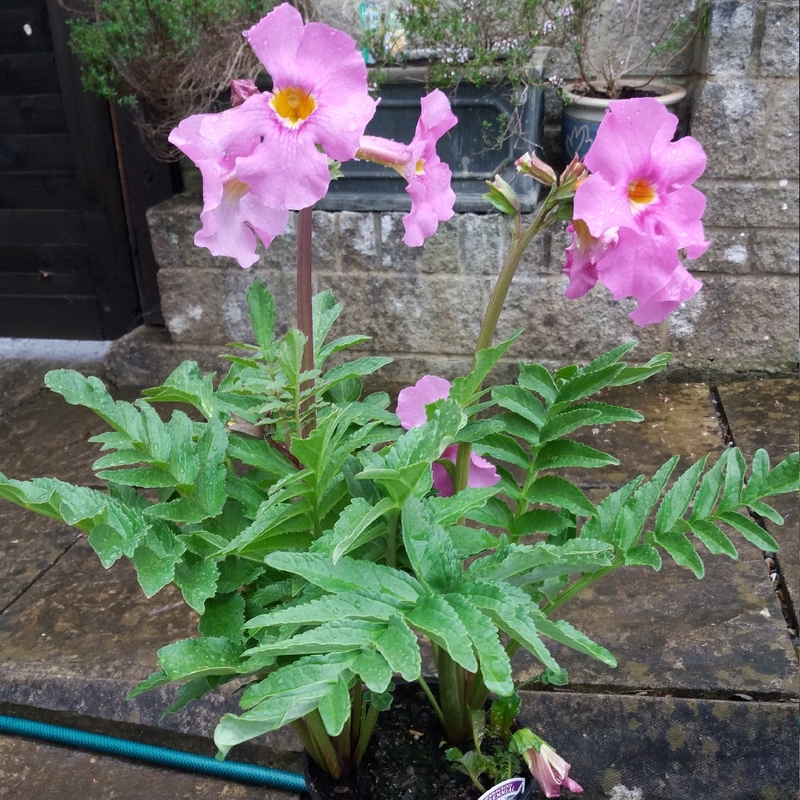 A clump forming plant that produces largish trumpet like pink flowers with darker pink veins and yellow throats on upright stalks. 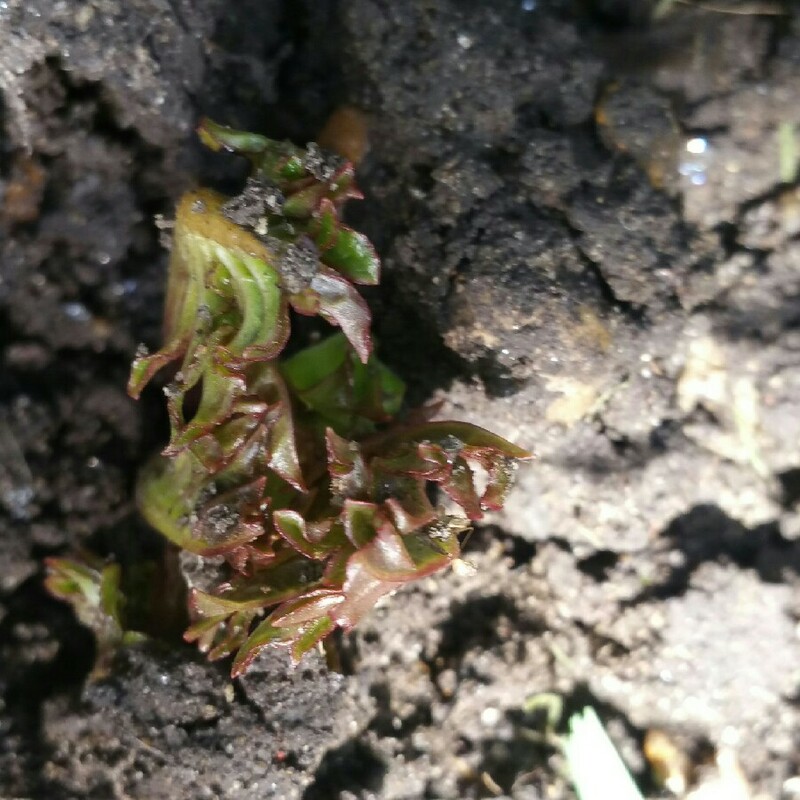 The leaves are a mid to dark green and fern like in appearance. 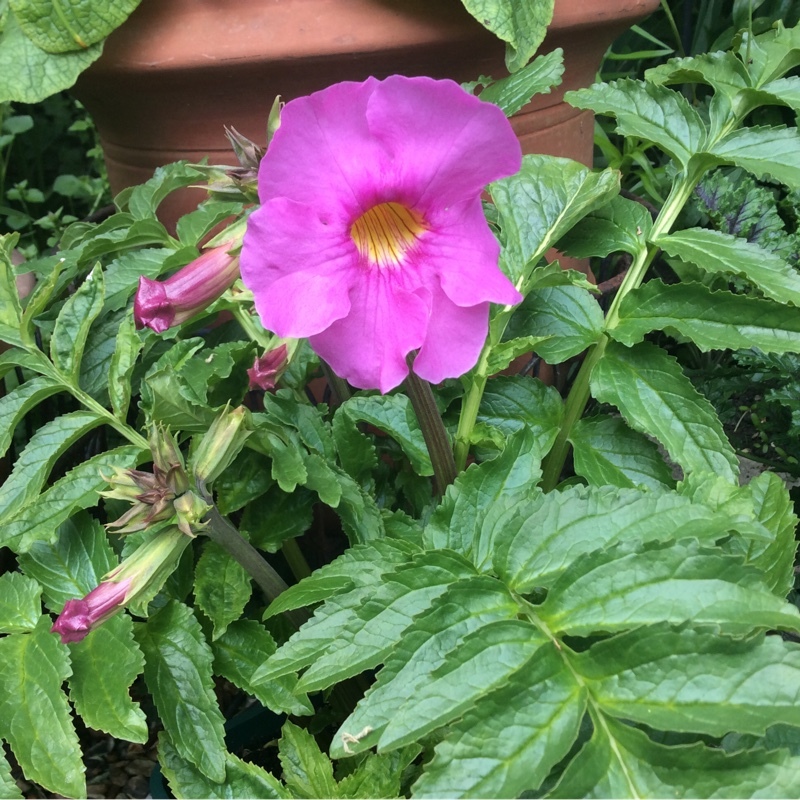 Sow seed into flowering position, but they will have to covered with glass, or in a cold frame where they are not covered. 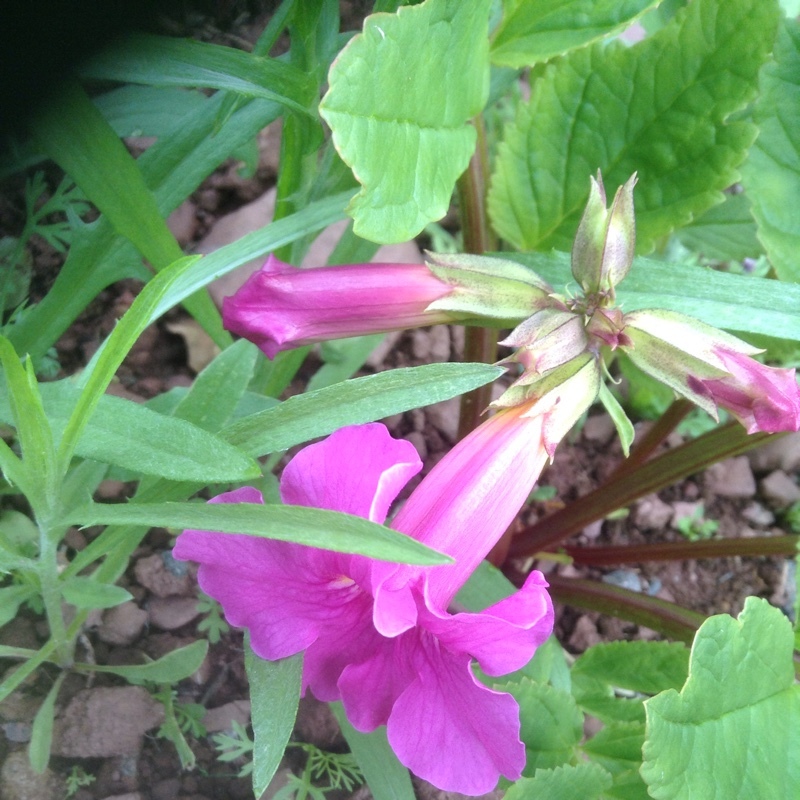 Sow seed into flowering position. 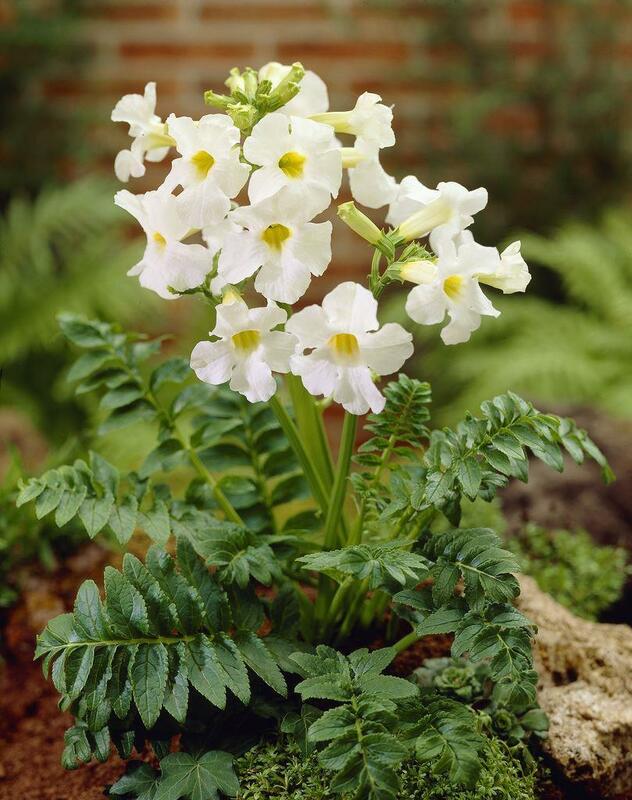 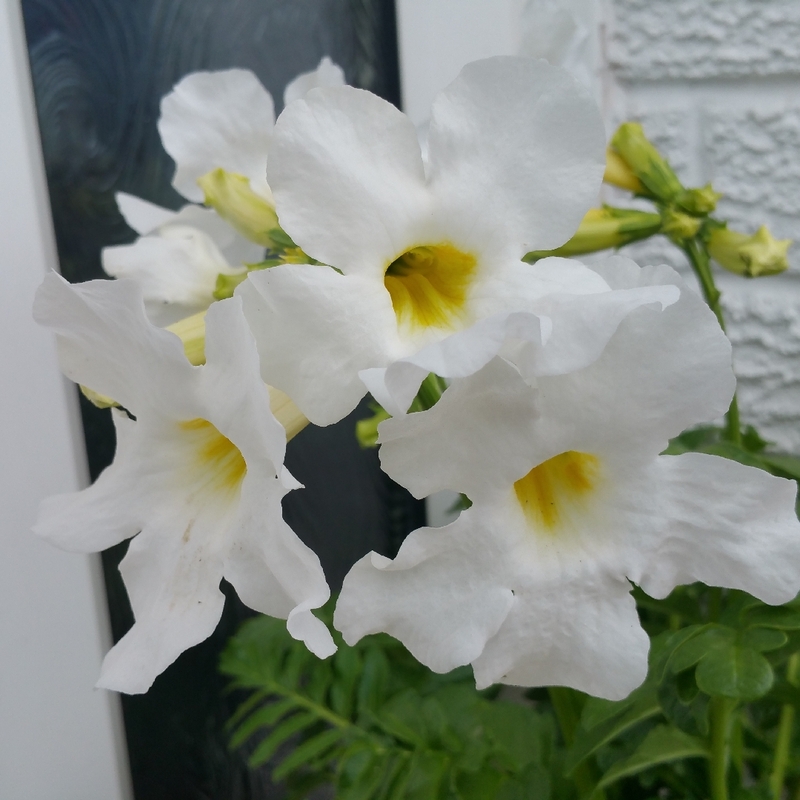 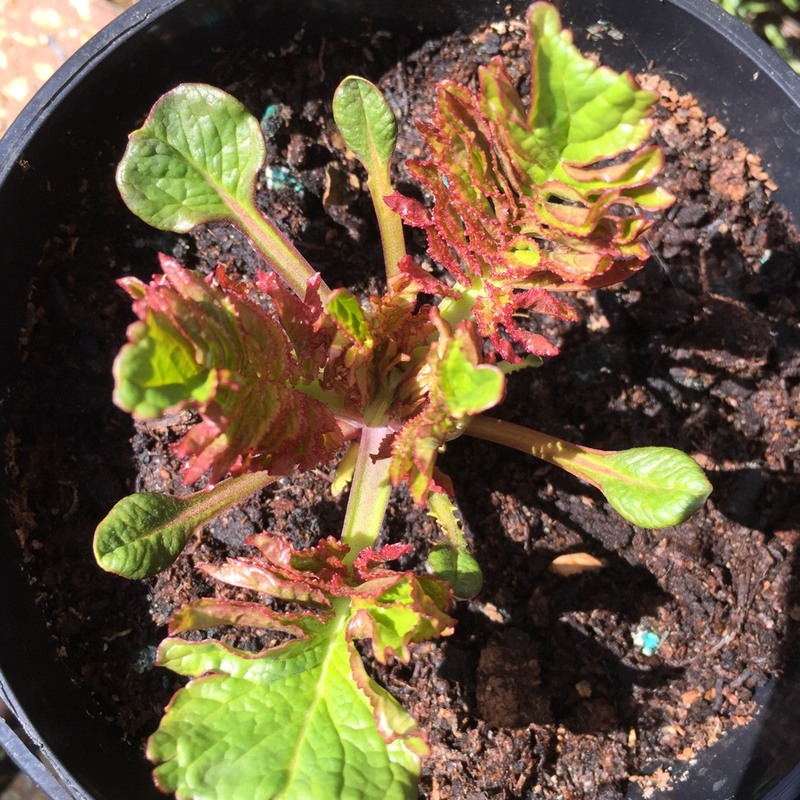 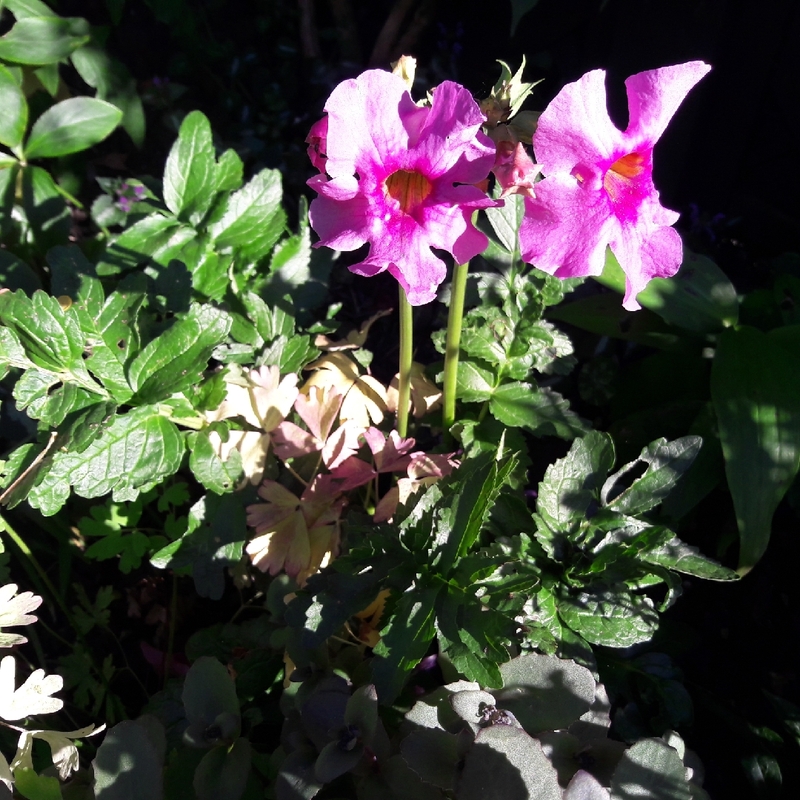 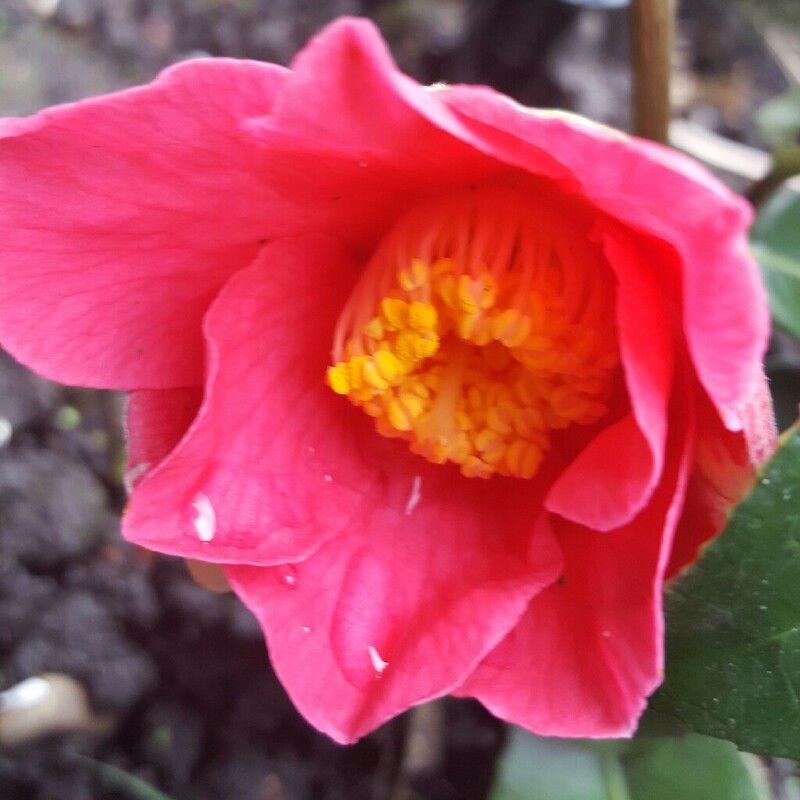 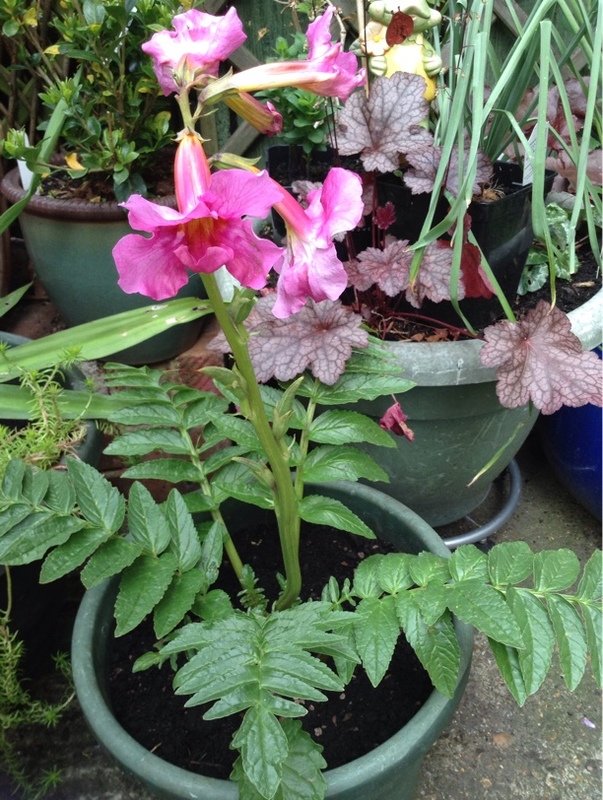 Plant out container grown plants into flowering position.Put into a reasonably sheltered site in full sun or partial shade that is moist but free draining or well draining. 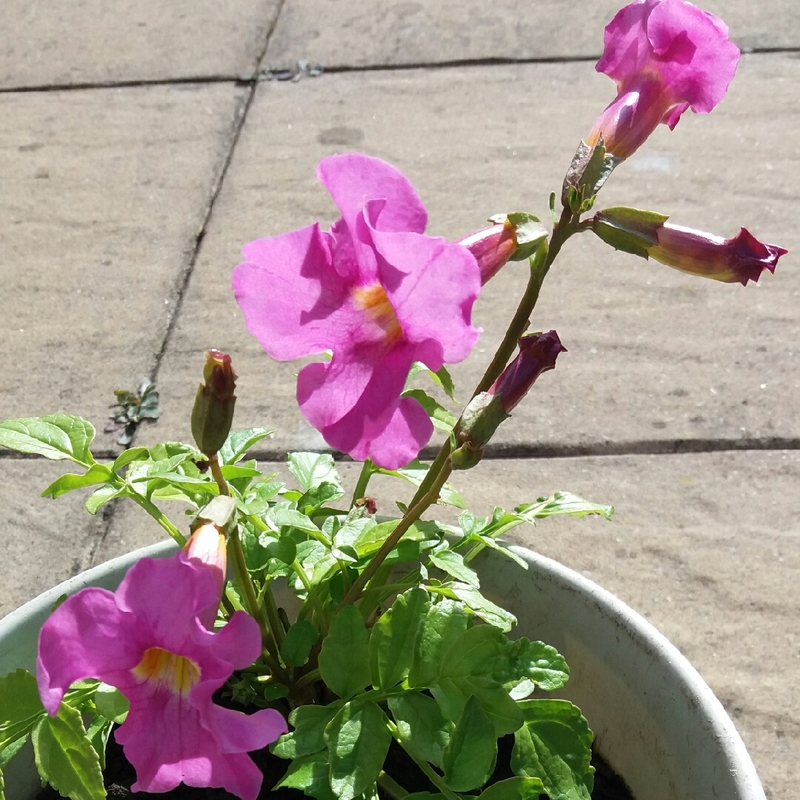 They can be grown in containers but should have feet under them to help with drainage.Care needs to be taken when they are dormant as the crowns can be quite easily damaged. 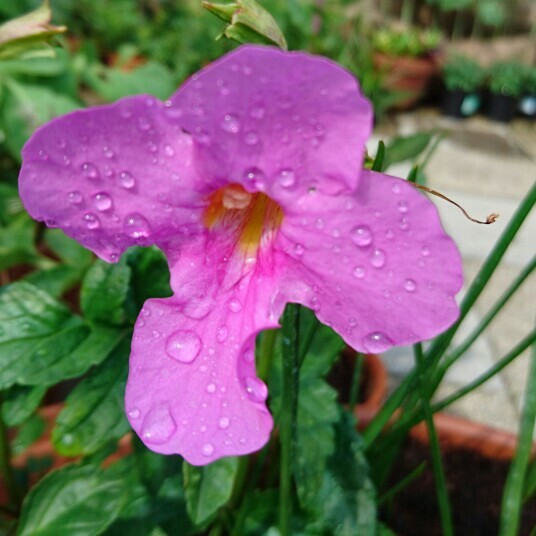 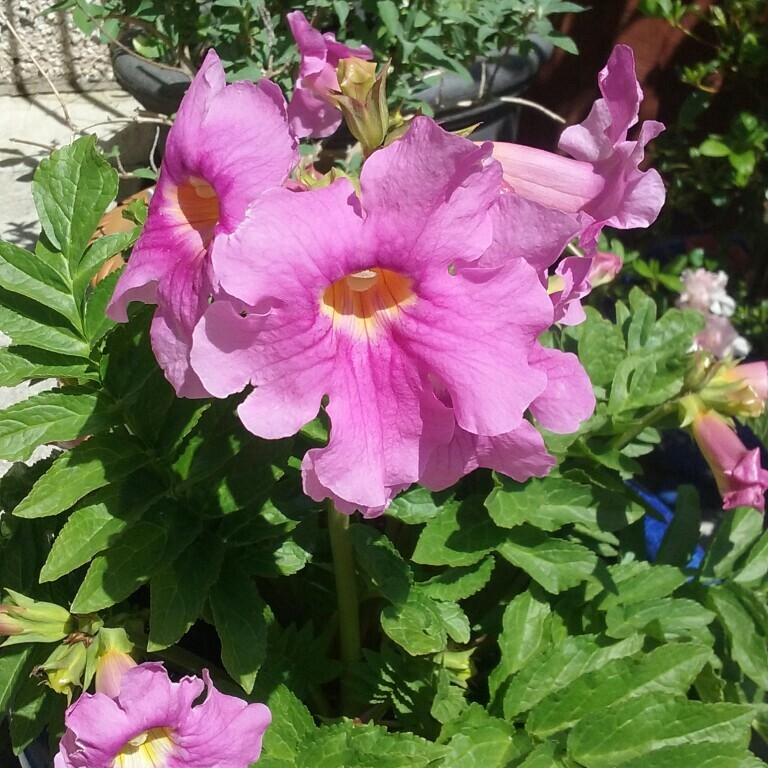 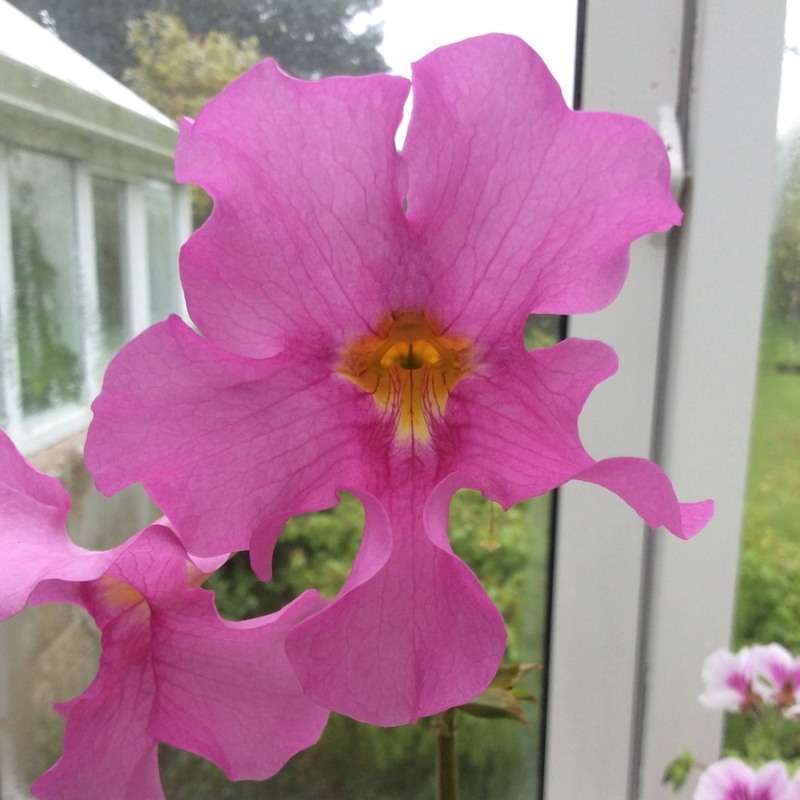 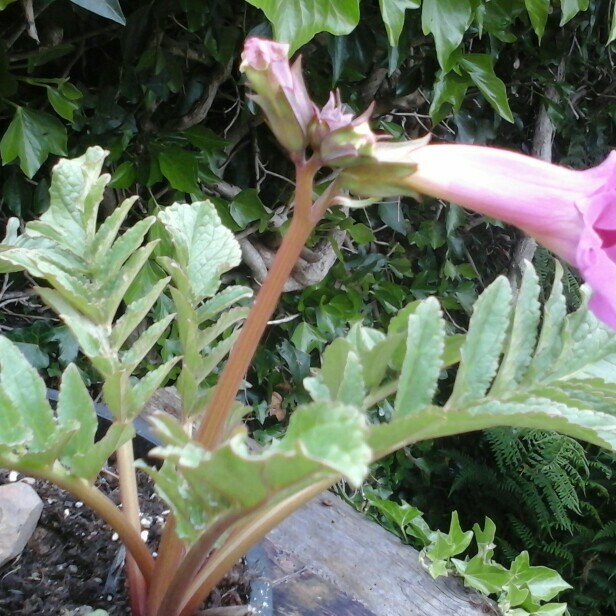 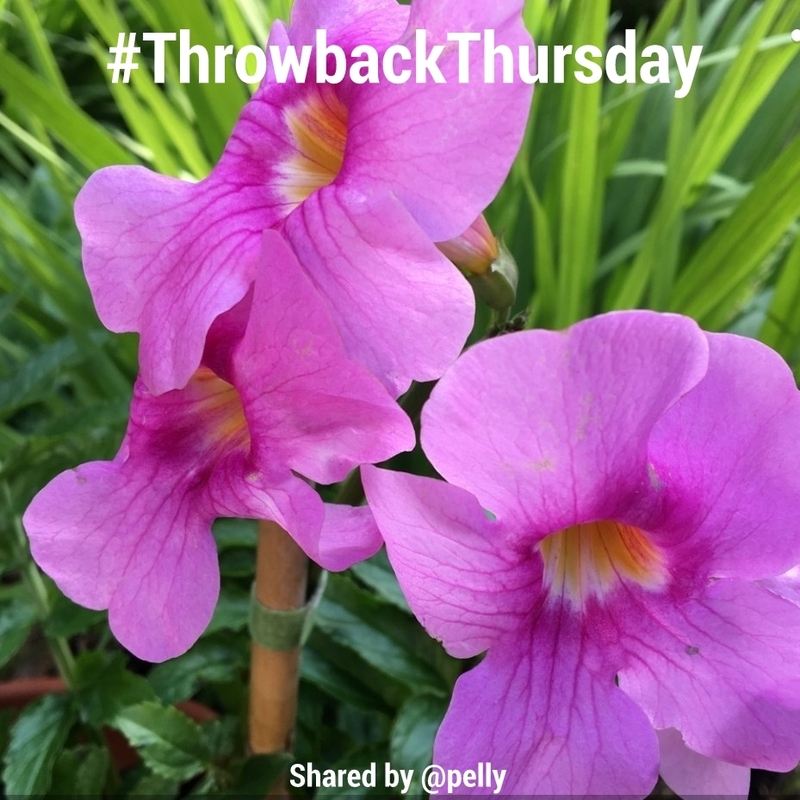 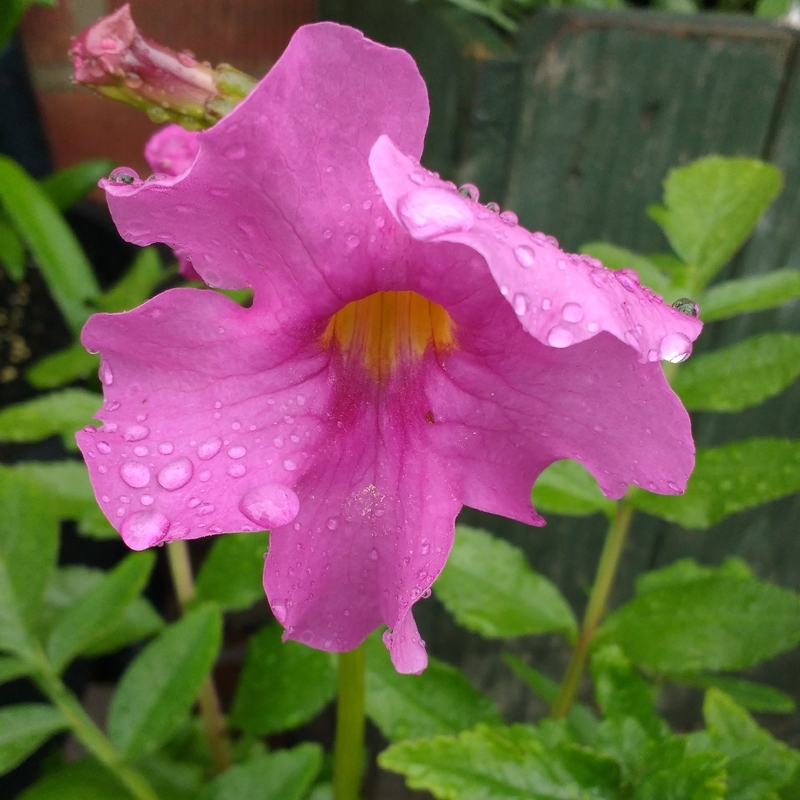 Trumpet like pink flowers with darker pink veins and yellow throats on upright stalks.